Hey there! I know it's been forever and a day since I posted here! I am still around, but just posting on a different website now. As most of you know, I became a travel agent for Disney and Universal a little over two years ago. I am LOVING it, and it's so exciting to help families create a vacation that is tailored just for them. 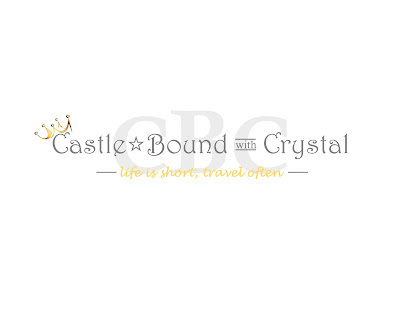 I started a new website, Castle Bound with Crystal, where I share all the latest news about your favorite Orlando destinations, and I am throwing in some of the same content that I have shared on this blog as well, such as recipes, themed party ideas, and ways to save, and eventually I will share some home decor. I hope you will take some time to visit my site, and say hello! Castle Bound with Crystal will be where I post regularly, and I won't post here on Fussy Monkey Business any longer. Thank you so much for following along here over the years, and I hope you will continue to follow along this next chapter of our lives. Walt Disney World Late Spring/Early Summer 2018 Discounts Have Now Been Released!! Yay!! Now is the time to start thinking about those Spring Break and summer vacations!! Two new Late Spring/ Early Summer Walt Disney promotions have been released this morning. You can delight in one FREE meal per person (ages 3 and up), per night at a select Walt Disney World® Resort quick-service dining location when you buy a non-discounted 5-night/6-day room and theme park ticket package at a select Disney Value Resort hotel. Offer valid for arrivals most nights May 29-Aug. 25, 2018 when you book through Feb.11, 2018. -The number of rooms allocated for this offer is limited. -Tickets valid for one Theme Park per day and must be used within 14 days of first use. -First use must occur on or before 12/31/18. -Cannot be combined with any other discount or promotion. Stay in the middle of the magic to make the most of your vacation – now is the time to book! With this offer, you can save up to up to 20% on rooms at select Disney Resort hotels. For stays most nights Feb. 18-April 14, 2018. Book through March 7, 2018. For stays most nights April 15-June 10, 2018. Book through April 7, 2018. Campsites included at 10% discount for Sunday through Thursday stays, April 29 through May 24, 2018. Moderate and Deluxe suites may be available for a lesser discount. -Additional per-adult charges may apply if more than two adults per room at Disney Value, Moderate and Deluxe Resorts. *Tickets and options must be used within 14 days of first use. First use must be by 12/31/18. Do you have a Disney Movie Rewards Account? Have you ever purchased a Disney movie and wondered what that long code was on the the inside of the case? For every Disney movie purchase, you can enter codes into your account to earn points. Those points can be turned into gift cards or prizes, and right now you can snag a $5 Disney gift card for 550 points. I was able to snag one today, and it will be added to my Disney stash! I am slowly chipping away at saving for our next Disney Vacation. 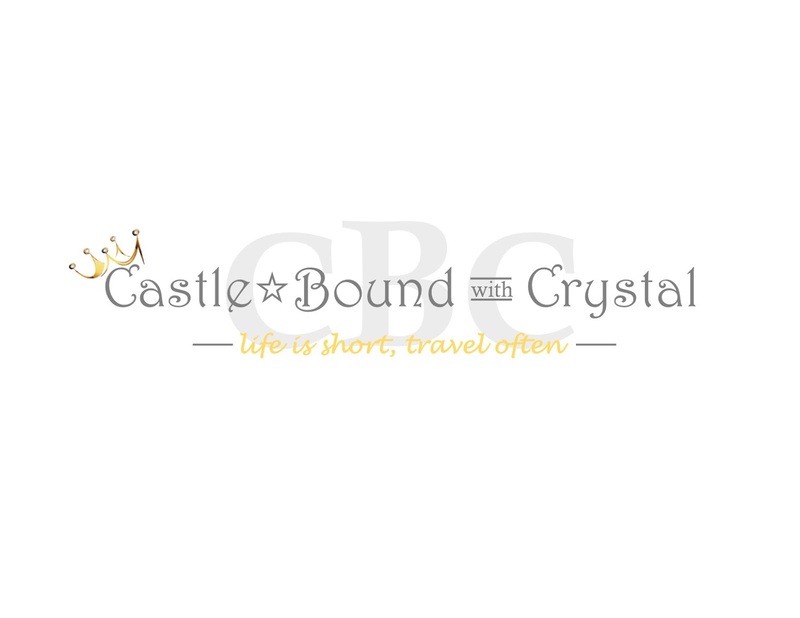 If you need help planning your next Disney vacation, feel free to contact me for a no obligation quote at castleboundwithcrystal (at) gmail (dot) com. Have you guys heard? 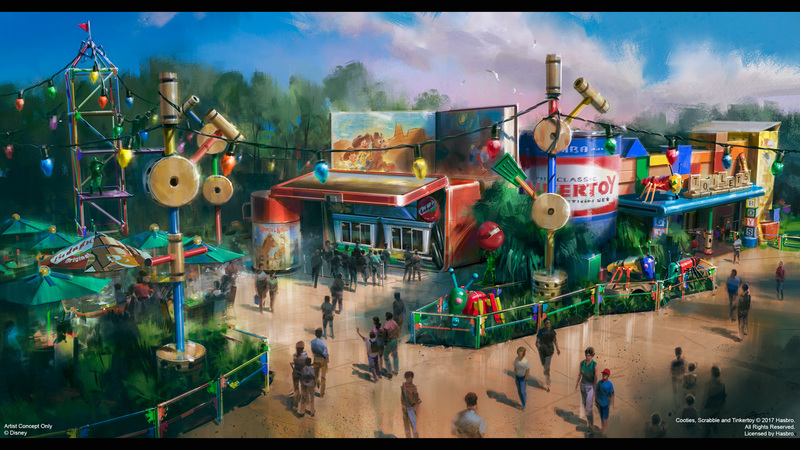 Woody's Lunch Box will be opening up in Hollywood Studios' Toy Story Land in Summer of 2018. The menu has not been released yet, but we do know that it will be a quick service restaurant. According to the details on Disney Parks Blog, it sounds as if it will be American fare. The Walt Disney World Resort will partner with Mini Babybel to bring this location to life. Don't you just love how Disney has the ability to bring our favorite movies to life? Are you interested in making magical memories with your family? 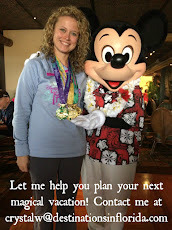 Click here to learn how you can get a free-no-obligation quote for a Disney Vacation. click the links above to catch up. That's where I left off from last time. I was determined to hit the roads again, and run. I was determined I would keep doing the things that I loved doing. The things that I had become so dependent upon. The very things that I was told I should no longer do. to do, especially when stress overcame me. The sad part is, I was looking inward, and not upward. it's been a spiritual journey. As long as I can remember, I have always dealt with stress by being active. 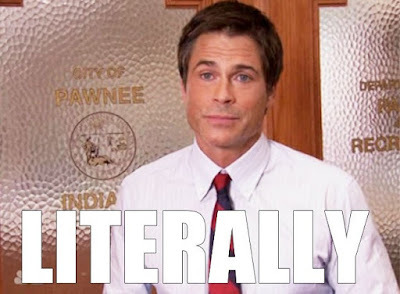 I internalize everything, so it gives off the appearance of "calm." My family knows that I am a nut case. And all that bottled up energy needs somewhere to go. When I started homeschooling, running became my outlet. So, I decided I no longer had Ehlers Danlos Syndrome...for all of 1 mile. I tried multiple times, and every time I was reminded by my body that it was no longer able to do what I wanted it to do. The stress had no where to go, so it manifested itself through nightmares. I got to the point where I was afraid to go to sleep because I didn't know what horrible thing I would dream of next. Every time I started to look inward, searching for an answer to alleviate the stress, the voice of the Lord would say, "It's Me you need, not running." Being the control freak that I am, I dug my heals in, and said, "No. That's not what I want. I need to run. That's how I will get through all of this." I can really picture God up there in heaven, sitting back, smiling, crossing his fingers across His chest, and saying, "Okay. I'll just sit here and wait until you're ready. Because you will change your mind." It took several months of anger, crying, being frustrated, and finally realizing that this was not going away. I had to get over the feeling of hopelessness. I also had to get through the guilt. Why would I have guilt? Because there is a 50% chance of passing Ehlers Danlos Syndrome to your children. And that little girl right there has it. 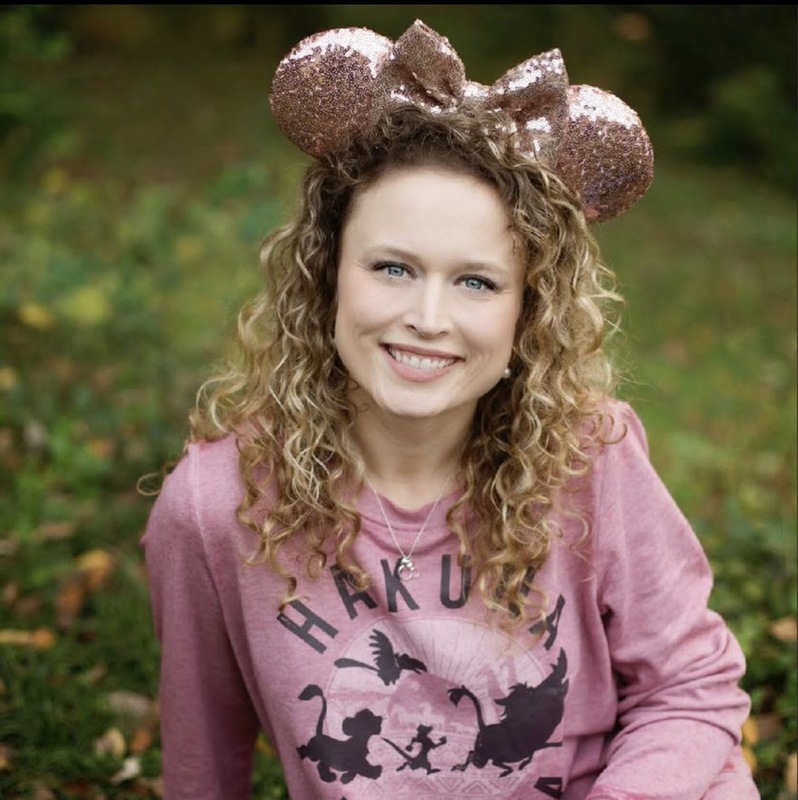 She has not been formerly diagnosed because the geneticist wanted to wait until both were 12 years old before testing them. However, she is on the same timeline that I was on. She is my mini-me in every way imaginable. She and I have shed a lot of tears together over the last few months. Fortunately, the Lord has shown me grace and given me the strength and wisdom to help her work through some of the same mental road blocks. Little man has not shown as many signs, thankfully. He's bendy, but doesn't seem to struggle with the other symptoms. He's got his daddy's hardiness. So what do I do to stay strong? She helps motivate me and keeps me on track. We use this book as our guide book. It's super boring and slow, but it really does make a difference. At first, I wouldn't use it because I felt it was beneath me. The exercises were too easy. Pride sure does get in my way, doesn't it? But, after a few weeks of using it, and staying true to the exercises, my subluxations are becoming less frequent. Ehlers Danlos patience will also show signs of gluten intolerance and symptoms of Celiacs disease without being officially diagnosed. We switched over to Paleo, and it has made a world of difference in both of us. Joint pain and stomach pain have decreased in both of us, and we generally just feel better. Sister is on acid reflux medicine currently, and we're hoping to get her off of that in a few weeks. I'm also working on a supplement plan that is catered to my needs. There are days when life is great, I'm feeling good, and the acceptance is there, and then there are days when I feel terrible, and everything hurts, and I get angry about it. The ick days are when I have to lean extra hard on God. 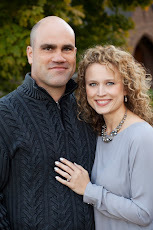 And can I just say that hubby has been my rock through this whole process. He has been so patient, and kind. He has watched me battle internally this entire year. He is there to hold me when I need a shoulder to cry on. He is there when I need a voice of reason. He is there to pray for me. No matter how awful I feel, I have him. Therefore, I want for nothing. you can click the links so you can catch up. This post has been a lot harder to write than I anticipated. There have been a flood of emotions as I go back through everything I have been through over these past few months. However, it's been interesting to think back through the journey, and see how God has been there every step of the way. The physical therapists that I visited for all of my running ailments had an in-service day where they were learning how to treat a particular syndrome. All three girls who had been working on me agreed that there was a chance this was what I was suffering from. There is a quick test you can do to see if you qualify for further testing. It's called the Beighton Score. If you look at the picture below, you can see the different things that are tested. So that got the ball rolling in forming a diagnosis. 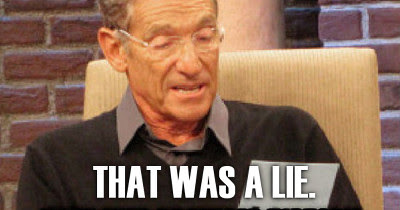 The physical therapists contacted my doctor, who in turn scheduled an appointment with a geneticist. I had to wait three months in order to see this particular doctor, and we had to travel 2 hours to see him. May 8, 2017, I was diagnosed with Ehlers Danlos Syndrome, Hypermobility Type. That day is pretty much a blur. I was asked all sorts of random questions (or what seemed to be random) which all pointed back to this diagnosis. I remember breaking down when he told me I had it. I remember my sweet babies trying to comfort me because they don't like it when they see their momma cry. Even though this was a tough day for me, it was also the answer to all of my health questions over the years. Hypermobility Type is what I have. There is also a spectrum for the Hypermobility type, and I am on the top end, thankfully. Because I have been active my entire life, I have been able to "stay in place" a little better, and stay strong. I did take a hit emotionally, though. I now have to see a cardiologist every year to make sure that my heart looks good. In some patients, the heart is effected. I believe the arteries can collapse due to over-elasticity. That was very scary to hear. However, my heart is in perfect shape. And thankfully my bones look great. I am no longer supposed to run, due to the impact on my joints. I cannot produce collagen like a normal person, which plays an important role in building joint cartilage. Taking collagen supplements does not make it better. Not being able to run...Knife to the gut right there. I also am not supposed to lift weights, get on a treadmill or an elliptical machine. I am not supposed to stretch because that makes my symptoms worse. In order to feel like I get a deep stretch, I have to go further than a normal person which makes the joints looser. I feel the need to stretch constantly because my body is in a state of constant tension. It's doing it's best to stay together. So everything I have been doing over the years to stay fit and healthy were taken away from me, and that made me angry. Two weeks after my diagnosis, I decided I no longer had Ehlers Danlos, and I was going to do what I wanted to do...and as you would have guessed, that didn't work. Are you guys finished with your Halloween preparations? We are still in the process of getting all of our ducks in a row. I do have our non-candy treats squared away, fortunately. I purchased all of these items from Amazon. They were pretty inexpensive, and I hope they are a hit with the kiddos that come through our neighborhood. Laser finger beams, sparkle rings, miniature turtle erasers, and sticky hands are what I will be giving out. Since these are pretty small, I will probably be handing out something like Pirate Booty for the ones who are extra little (3 years old and under). All that we have left to do is finish Sister's costume. She's decided she is going to be a zombie bride. I wanted her to be something cutesy and non-evil, but that's not what she wants. How is it possible to enjoy your nightmares come to life?? My boy is going to be a pumpkin goblin. I'm just glad he wants to participate. He usually wears a costume long enough for pictures and rips it off due to embarassment. We'll see how it goes this year! I will be going as Cinderella this year, and I cannot wait to wear my dress. Last year I went as Snow White, and can I just say it is so much fun being a princess! Do you know how precious those little girls were when they got to meet Snow White?? I'm hoping this year will be even better. We're still working on a costume for hubby. I believe it will involve the purple velvet sombrero we were gifted for last year's dirty Santa. Ha! So do you dress up for Halloween? I'd love to hear what you're going to be if you do. Grab a cup of coffee, or two, if you're like me. Sit a spell; stay a while. You might find something you like. Contact me today for a quote! Why Click on my Ads? By clicking on the ads on this blog, you are helping me continue to bring you fun new projects and interesting content. Just one little click can go a long way. Thank you for your help.